Dragon's Eye is a striking pink tomato painted with bright yellow/green bands. 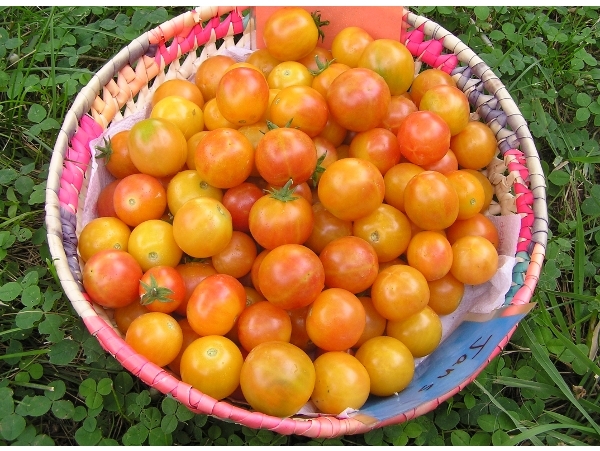 The compact plant sets plenty of these 4-6 oz beauties which are perfect for slicing tomatoes. It takes about 70 days for the fruit to mature. Indeterminate, regular leaf.